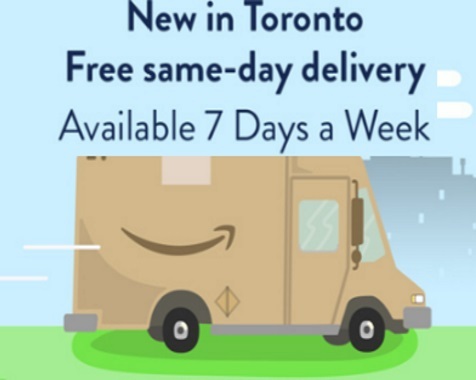 Amazon.ca has introduced Free Same-Day Delivery for Prime Members in Toronto and Vancouver available 7 days a week! I noticed earlier this month Amazn also raised their free shipping threshold from $25 to $35 (this affects those who aren't subscribed to Amazon Prime). This applies on all overs of $25 or more in these two cities for now. With the holiday season coming up, this is great timing. If you aren't an Amazon Prime member yet you can sign up for free trial (you can cancel any time) and see if your area is eligible for free same-day delivery.